Her story is wrapped up within one of the most incredible marvels in all world history: how the Christian church survived under repressive atheistic communism in China. But it did more than survive. It thrived and multiplied. We can better understand these heroic Chinese Christians through Nora's story. Adopted by a prominent family in Shanghai in 1941, little Sung Neng Yee (Nora Lam) is treated like a princess. . . until the bombs drop, and the Japanese seize her house. After the defeat of the Japanese, she joins the Communists, believing they are the liberators of China. All goes well until she falls in love with Iam Cheng Shen from Hong Kong. Communist officials decide to break her of any bourgeois tendencies. During the next few years, in which she marries and has three children, she is subjected to excruciating persecution. She calls out to God for salvation. Miracles follow. 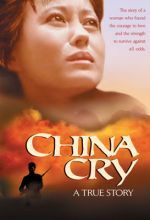 She bargains for her husband and daughter's release to Hong Kong and is sent to hard labor, where she starts agitating for her own release. An intimate love story, saga of courage, and acclaimed inspirational gem.